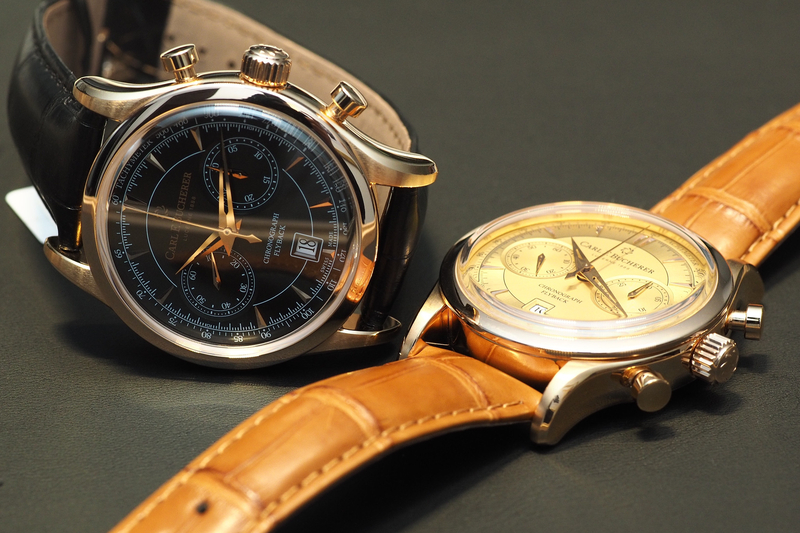 This month Carl F. Bucherer announced a new “retro” variation within their Manero Flyback collection (which currently includes six other versions). While the collection already pulls from 1960s and 1970s watch styles that we’ve covered here and here, the new look has even more of a throwback aesthetic. 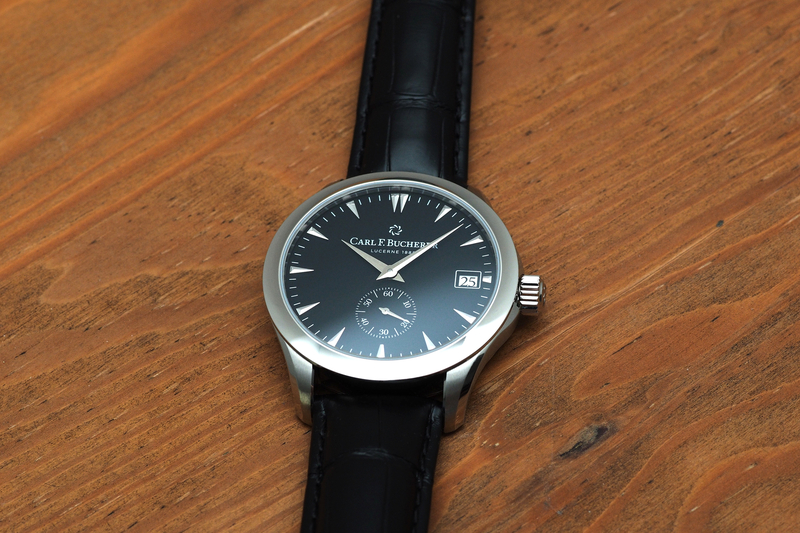 The Manero Flyback Retro comes in a 43 mm x 14.45 mm stainless steel case that’s been fully polished, with a black sunburst finish dial, and matte silver snailed counters. Dauphine-shaped, polished steel hands display the hours and minutes, along with blackened Dauphine-shaped hands for the small seconds and chronograph minute counters at 3 and 9 o’clock. A red lacquered hand shows the chronograph seconds when running. The chapter ring features white and red printed minutes/seconds and tachymeter scales. Hours are marked by dagger-shaped facetted indices. The date is displayed symmetrically at 6. Retail is $6,900. The watch will be available in August 2018. 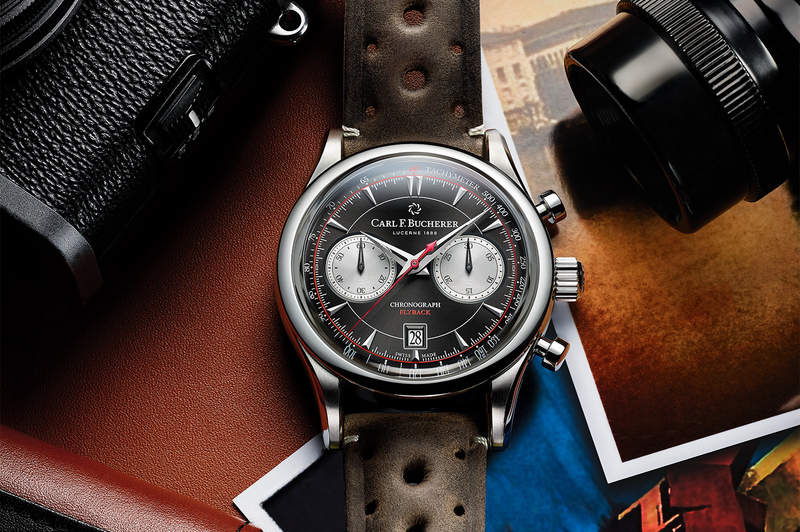 Learn more at Carl F. Bucherer.